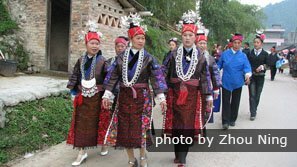 The Miao people are celebrating the Sister&apos;s Meal Festival. 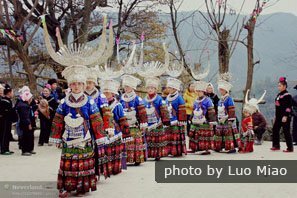 Sisters&apos; Meals Festival is an important festival of the Miao minority people in China. It&apos;s a celebration of love and spring. 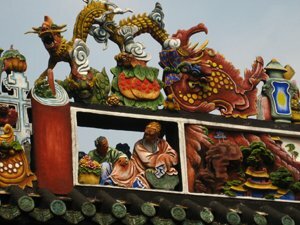 It was regarded as the oldest "Valentine&apos;s Day" of China. This traditional festival falls on the 15th day of the third month in the lunar calendar and the celebration usually lasts for 3 days. 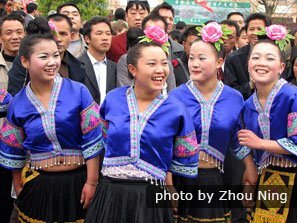 Sisters&apos; Meals Festival is celebrated by the Miao ethnic people in southwest China&apos;s Guizhou Province, especially in the counties of Taijiang and Jianhe Counties, along the banks of the Qingshui River. 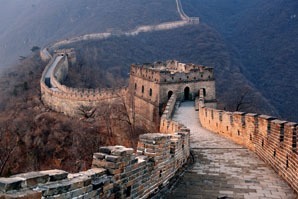 It&apos;s about 50 kilometers (31 miles) northeast of Kaili City. A few days before the celebration, Miao girls collect fresh wild flowers and leaves from the mountains to produce natural coloring in order to dye glutinous rice, known as "sisters&apos; rice". 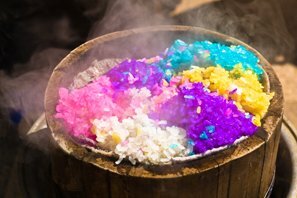 Steamed rice is dyed blue, pink, yellow, and white to represent spring, summer, autumn, and winter, respectively. In some places, rice is dyed violet blue. 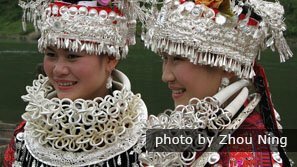 For the festival, Miao girls dress up in their holiday best with startling silver headdresses, crowns, and neck rings. 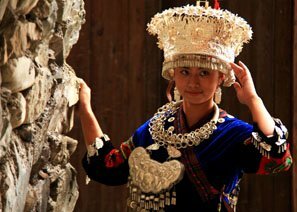 The Miao people believe that silver represents light and it can dispel evil spirits. You can see young women wearing several kilograms of it at this popular festival. A kaleidoscope of ethnic costumes will provide you with an exotic fashion show. When the young men arrive, they begin to single out the young women they hope to marry someday and begin to sing for them. Women and men sing in an antiphonal style with interesting words. When the men can&apos;t answer the questions by singing, they lose and should give gifts to the women, and vice versa. 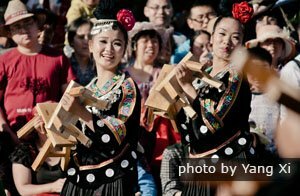 There are also many other activities, including bullfighting, horse racing, traditional Miao performances, and Lusheng music. The following legend has been told through the minority people&apos;s songs. There are two sisters whose son and daughter grow up together and have a sweet childhood friendship. When they grow up, they fall in love with each other. 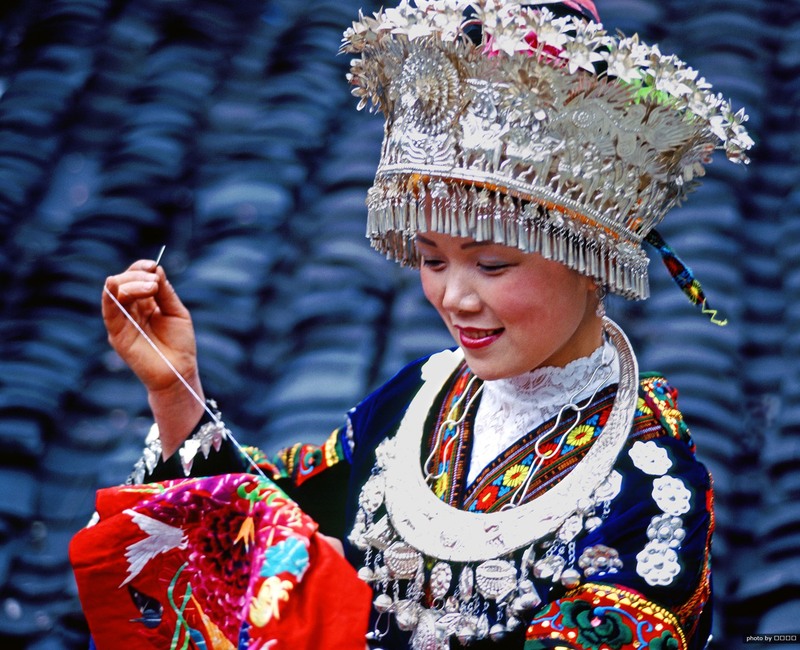 But the girl&apos;s parents insist that she should marry her uncle&apos;s son (a Miao minority tradition). The girl refuses to do so, and the boy doesn&apos;t want to marry another girl. To avoid being found out that they are still in love, they always meet outdoors. The girl always takes delicious rice with a bamboo basket for her needle and thread. Finally, the girl&apos;s parents are moved and say "yes" to their marriage. In the Miao people&apos;s language, a meal that is taken to a lover secretly is called "gad liangl", which means "hidden meal", and was translated to "姊妹饭" (sisters&apos; meals) in Chinese. Our tours can be customized. If you are not interested in the above tours, just tell us your interests and requirements, and we will help you tailor-make a Sister&apos;s Meal Festival tour.